HULK SMASH! 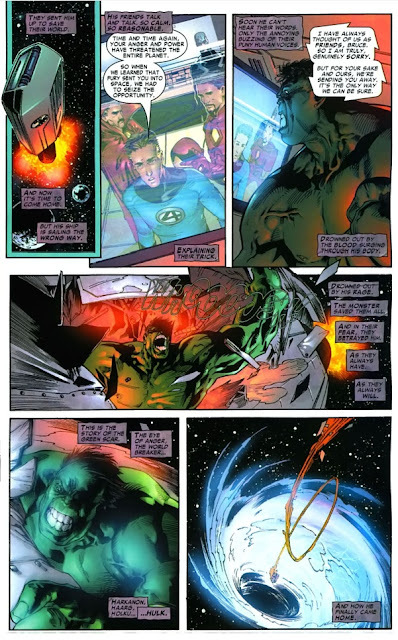 The Marvel Universe that is, in World War Hulk! Latino Review broke the biggest and greenest news of Super Sunday when it revealed Marvel's future cinematic plans for one of it's most beloved characters, the character directly responsible for making last year's Avengers the smashing success it was The Incredible Hulk. According to the report Marvel's movie plans for the Hulk will not take full affect until after Avengers 2. Apparently the results of the Avengers sequel will lead directly to Planet Hulk which will join Ant Man, and Doctor Strange as part of Marvel studios/Disney planned phase 3. 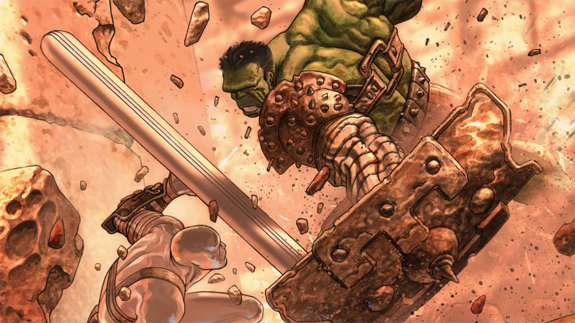 Greg Pak and John Romita Jr's Planet Hulk, was the best Hulk story of the last decade. Planet Hulk is widely regraded as one of the best Hulk stories ever written, and author Greg Pak is credited fog getting at the true depths of the big Green Meanie's emotions. A Planet Hulk film also confirms what we have been speculating here at The Epic Review, that Marvel's secret society the Illuminati will play a major factor in Marvel's future film plans. After all it is the Illuminati that send the Hulk into space leading to Planet Hulk. The Illuminati do this to keep Hulk from playing a major role in Marvel's superhuman Civil War which Marvel producer Kevin Feige has gone on record saying would make a great story for Avengers 3. However the Latino Review report leads us to believe that Avengers 3 will culminate in The World War Hulk story line, not Civil War. World War is Hulk is basically where the Hulk returns to earth post civil war to seek vengeance on the entire Marvel universe for shooting him into space. The Illuminati ensure the Hulk won't interfere with Civil War. Personally I think Marvel may be making a huge mistake. While I am thrilled at the thought of a Planet Hulk film, I just can't believe Marvel would scratch Civil War in favor of World War Hulk. 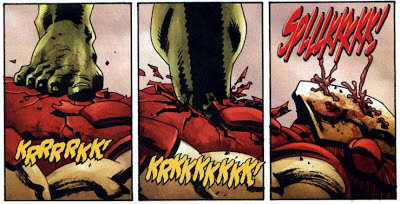 While World War Hulk is a decent story, it doesn't touch Civil War in purpose or scope. For the time being I guess all us Marvel fan boys can do is hope Feige and company keep making the right decisions regarding there film properties, and in the meantime try to avoid getting into a Civil War amongest ourselves at our local comic book shops and on the message boards!